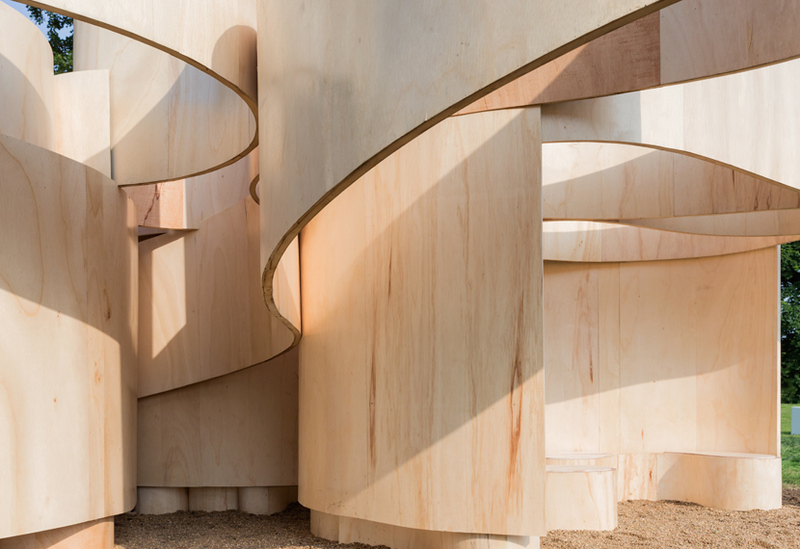 The Serpentine Gallery expanded their architectural programme for 2016. 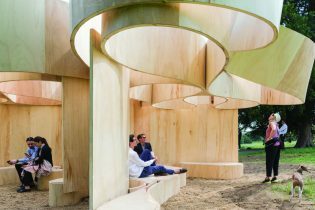 In addition to the main pavilion, four Summer Houses were commissioned, each designed by a different architect and taking inspiration from the nearby Queen Caroline’s Temple, an 18th century folly designed by William Kent. 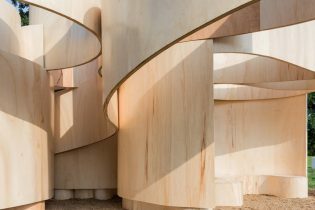 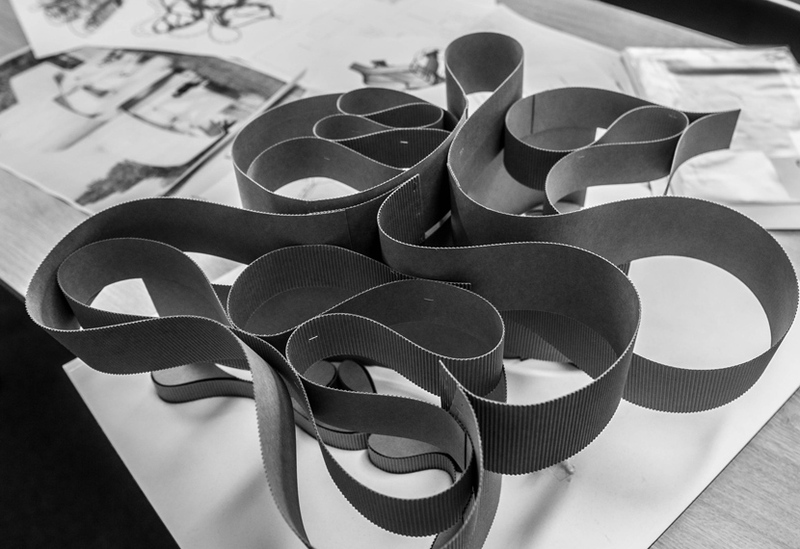 This summer house is created from a mass of plywood folds, curves and ripples, mimicking the original concept design of stacked loops of paper. 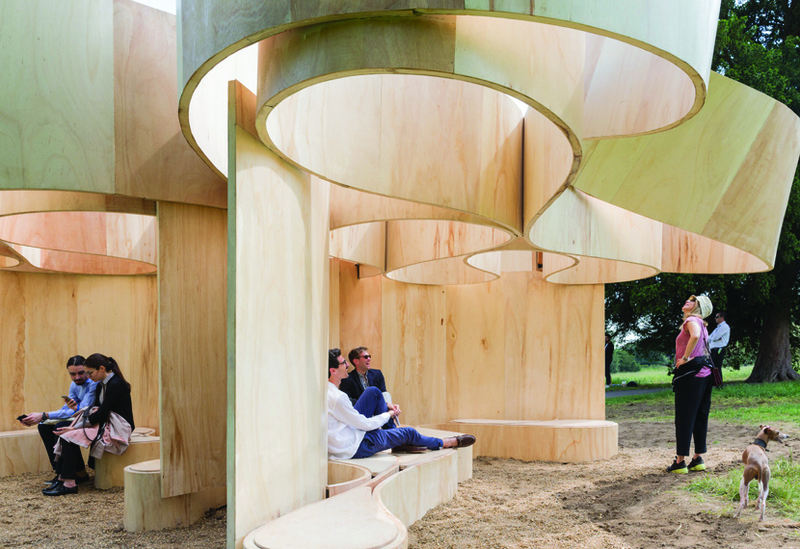 It forms a structure with multiple orientations and seating that offers different views of the park. 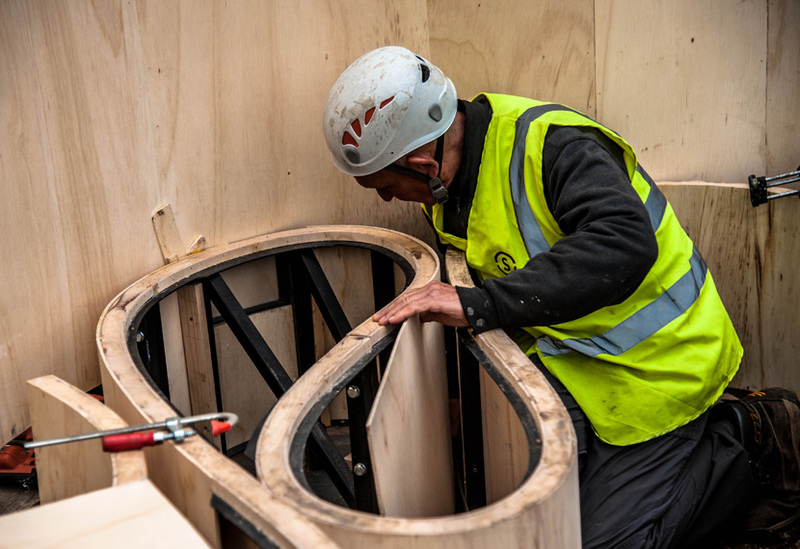 Our CAD team worked closely with Frank Barkow and structural engineers AECOM, taking four weeks to produce the drawings for manufacture. 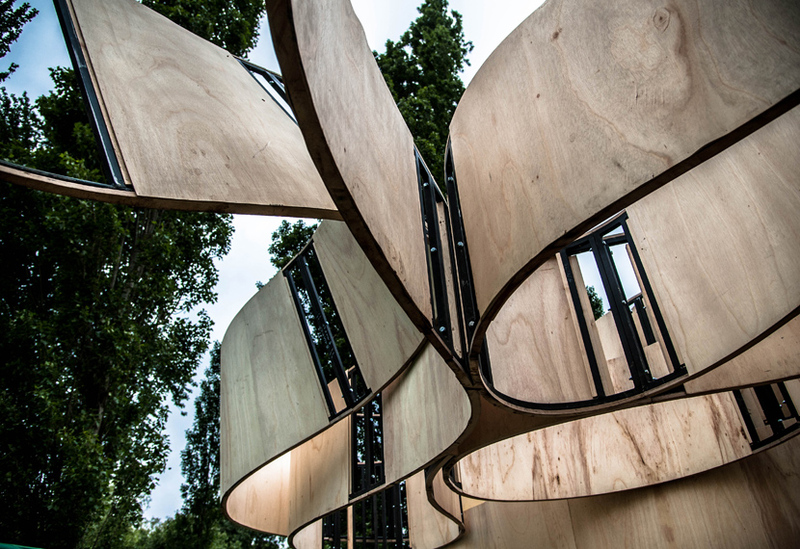 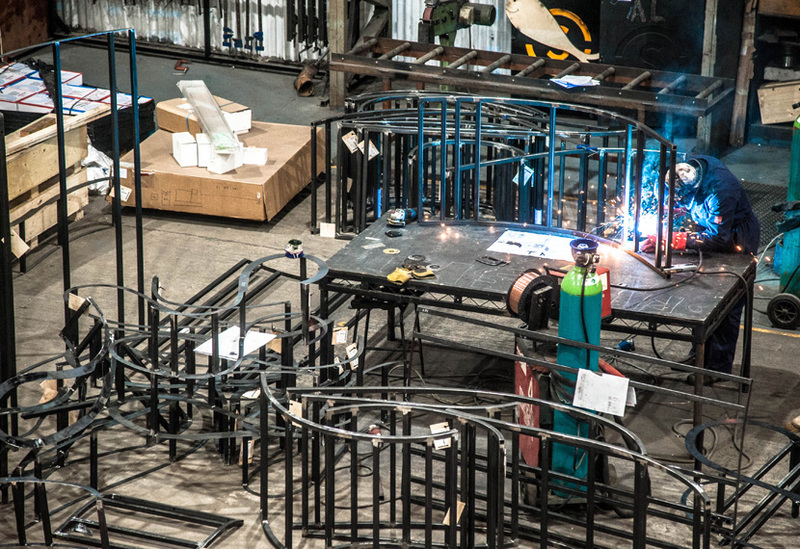 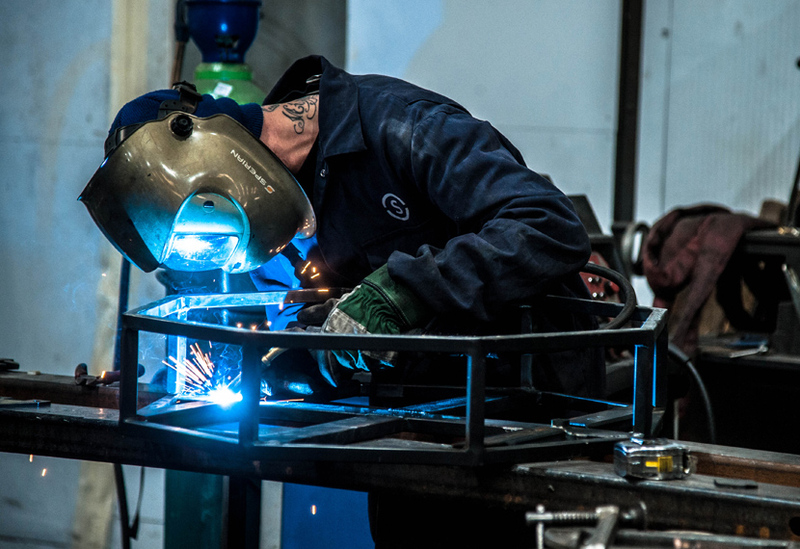 The complex arrangement of different sized loops are cantilevered off a central support and steel frame, providing a ‘floating’ canopy.